Two blocks from the ocean in Redondo Beach, Calif., a pair of 20-year-old twin sisters shares a bedroom each night. One has made it her mission to capture gold at the 2018 Olympics after finishing a disappointing fourth in Sochi nearly two years ago. The other? She’s making her debut at the U.S. figure skating championships next month. 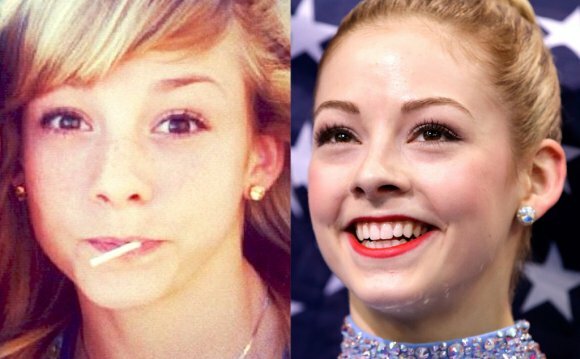 Long Gracie Gold’s biggest fan, twin sister Carly will put blade to ice on the national stage for the first time in January in St. Paul, Minn., at nationals, stepping out from the shadows as a spectating sister and becoming a fellow competitor. It was in the fall of 2013 that the Golds — Carly, Gracie and their mother Denise — moved from suburban Chicago to the Los Angeles area for Gracie to work with legendary coach Frank Carroll. Carroll agreed to take on Carly as well, a respectable and fluid skater who that fall ended up just one spot shy of qualifying for nationals. The road to the U.S. championships is long and difficult for skaters outside of the upper echelon of the sport, needing to advance through qualifying events to secure a place in January. At one point last year, Carly considered quitting the sport altogether. But this October, Carly won a regional event, and last month placed first at the Pacific Coast Sectionals with Carroll by her side. She was ecstatic. “Carly is the kind of girl who doesn’t expect anything, she goes in trying to skate as well as she can, ” says Carroll, who has coached Michelle Kwan and Evan Lysacek to Olympic medals. It’s a jarring situation for a twin sister to be in Carly’s shoes – well, skates. Gracie is one of the best skaters in the world, counts Taylor Swift among her friends and was a “CoverGirl” in the lead-up to Sochi. She’s skated on TODAY and has 236, 000 Instagram followers. She also has a golden smile and blonde hair to match. Carly is introverted and artsy. Currently, her hair is dyed a bright red and she is engrossed in her photography. She can be spur of the moment. This year she’s changed her hair color multiple times (“I might go purple after nationals”). She has 25, 000 followers on Instagram. The sisters are quizzed on their differences much more than their similarities. But they love the same things, too: Walks on the nearby beach, going to movies together, baking, Adele’s new album. On Gracie’s Instagram is a video of them in Carly’s Mini Cooper, The Chainsmoker’s “Roses” playing and the sisters sitting together, cool-faced. They do a three-second choreographed dance, then the phone falls flat on the dashboard. One of them laughs. Was it Carly or Gracie? It’s impossible to tell – they sound a lot alike. Above all, they are best friends who happen to love the same thing: Figure skating. Both started skating at Jordan Valley Ice Park in Springfield, Mo., though Gracie was a year ahead of Carly, consistent to her go-getter, no-fear approach. Gracie was charging ahead at the U.S. championships in Boston in 2014, with an Olympic berth on the line when she was stricken with nerves before the free skate. Gracie sat in her hotel room listening to the one voice she trusted the most: Carly’s. Gracie won going away inside TD Garden that night, the arena shaking when she landed a final double Axel, the skater pumping her fists overhead in unabated joy. Not since 2003 have two two siblings competed against each other in singles at the U.S. championships. That year, Alissa Czisny was 10th and sister Amber finished 20th. They’re twins, as well. Carly is undeterred despite the differences in their skating skills. It is unclear how Carly’s presence – as a skater – will impact Gracie’s performance in St. Paul, where the 2014 U.S. champion looks to steal her crown back from Ashley Wagner, the three-time winner and current title-holder. Wagner has had the stronger season in the lead-up to nationals, though the two have tangled back and forth in domestic and international competitions. Wagner and Gracie both live in Los Angeles, but train at different rinks and with different coaches. Their relationship is friendly, but not overly warm. Gracie sees Carly first as her sibling and then as a rival at nationals. She’s already plotting all the extra time they’ll get to spend together.